The sewer main drain is a crucial part of a home’s plumbing system. Unfortunately, since it is not visible, the main drain is also something most people don’t know much about. Many homeowners do not think about their home’s sewer pipes until there is a problem―usually a sewer drain clog. Here are some commonly asked questions regarding a home’s sewer main drain. Although a drain snake is usually used to locate and break up a clog in a branch drain line, a clog in the sewer main drain is a more serious problem, requiring the use of a sewer drain snake used through a main clean-out fitting. In cases where there is no clean-out, the process of clearing a sewer stoppage is more difficult and will usually require a professional plumber. The only way to know if you have a clean-out is to look for it. Houses are built differently, so sewer clean-outs can be located in different places. 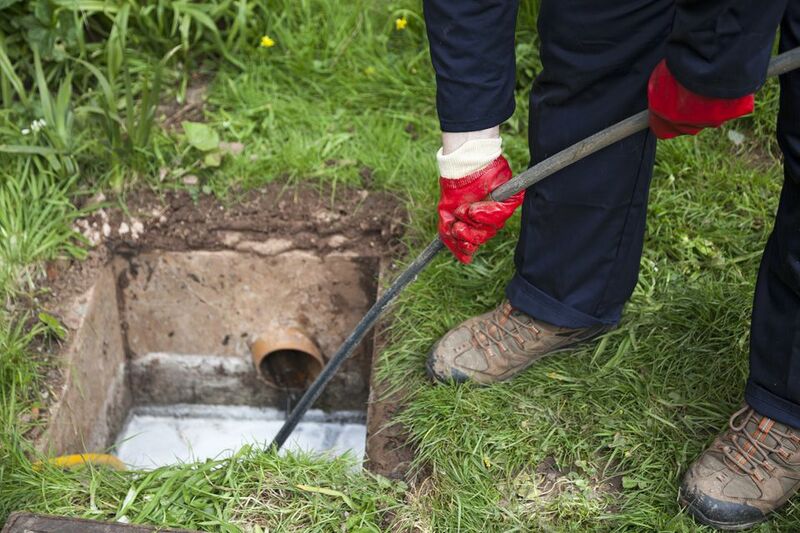 Unless you know where to look, a sewer clean-out is usually quite inconspicuous. Also, a clean-out that is located outside can become hidden by landscaping over time. When trying to find the sewer clean-outs, the first place to look is near the bathroom. In homes with basements, the main clean-outs are often set into the concrete slab, near the foundation walls. Once you know where to look it is not too difficult to find the sewer clean-outs if you have them. A clean-out is very important, particularly if you have sewer drain clogs often. If you do not have one, you may consider having a main clean-out installed. Not only will it be cheaper to have your main line snaked, but it can also serve as a release when the main line is backed up, allowing water to leak outside instead of flooding the inside of the house. If you have tried using a sewer drain snake yourself without success, you may want to call a professional plumber. If the plumber tells you they tried to snake out the main line and it can not be cleared, call another plumber for a second opinion before rushing into having the main drain line replaced. The price to replace the line can be very high, so it is well worth a second opinion before you spend the money. This is really a matter of opinion. If your main line backs up more than once a year, then it could be worthwhile to have the problem area dug up and repaired, or to have the line replaced. Many times, though, it is just a matter of having the sewer main line snaked once every year or two. This is particularly true if the roots from large trees grow into the sewer line. The difference in price between snaking vs. digging up the line and either repairing or replacing it is significant. There are several causes for sewer main drain clogs. Some are not preventable, such as tree roots and collapsing pipes. Other things can be monitored to help prevent frequent clogs. One important preventive measure is to be careful about what goes down the drain. Solid objects that are flushed down the toilet can become lodged and help cause a sewer stoppage. Also, excessive food and oils washed down the kitchen drain can contribute to sewer main drain clogs. The location and cause of the stoppage will usually determine who is responsible for the repair. Check with your city first before having any work done to your sewer main drain. In some cases, the city or town will remedy the situation if the cause is on their end.